PHILADELPHIA — During her speech on Thursday accepting the Democratic nomination for president of the United States, Hillary Clinton again vowed to defend homosexuality and abortion if elected. 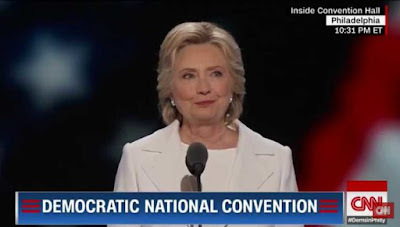 “We will defend all our rights—civil rights, human rights and voting rights—women’s rights and workers’ rights—LGBT rights and the rights of people with disabilities!” she declared to those gathered and those watching around the world. “If you believe that every man, woman, and child in America has the right to affordable health care, join us. If you believe that we should say ‘no’ to unfair trade deals, that we should stand up to China, that we should support our steelworkers and autoworkers and homegrown manufacturers, join us,” Clinton said during another portion of her speech.